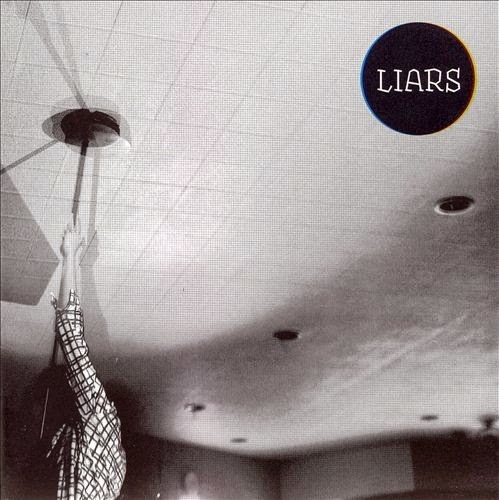 Liars could pretty much be considered one of the most interesting, adventurous and consistent bands from the early 2000s until now, they also own one of the most recognizable sound around. 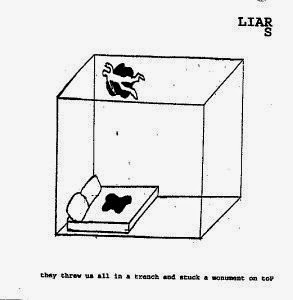 Liars could somehow be described as Animal Collective's nemesis because just like those guys Liars changes musical direction for each new release, to the point that this band has always been very difficult to categorize and box into whatever musical genre. This could also be one of the main reasons why Liars don't get much beyond a cult status, only the most open-minded fans are able to follow up to the band ever-changing artistic choices and orientation. Besides, and just like Avey Tare and co, their untamed and playful studio performance during the recording of each of their album is palatable. But contrary to the joyous jamborees that characterize most of Animal Collective's outputs, Liars' unique aesthetic approach veers towards way darker corners and more violent territories. Liars was founded in 2000. Its genesis can be traced in Los Angeles where Australian Cal Arts student Angus Andrew met microbiology student Aaron Hemphill in a record store. Both were collaborating on four-track recordings until Angus completed school and they relocated to New York. After responding to an ad, bassist Pat Noecker and drummer Ron Albertson joined and this was the first band's line-up, which later recorded the impressive debut "They Threw Us All in a Trench and Stuck a Monument on Top" in 2001. Some different ideas on creative methods led to the departure of the rhythm section, Angus' old friend Julian Gross arrived, and Liars' new line-up never changed since then. They further signed to London record label Mute, and released their radically different second album "They Were Wrong, So We Drowned" in 2004. Their debut album, "They Threw Us All in a Trench and Stuck a Monument on Top", presented Liars as a particularly energetic dance-punk quartet. They took their inspiration from earlier UK post punk bands, with some affection for more danceable stuff, like Gang of Four and A Certain Ratio. Nevertheless, Liars ain't no Arctic Monkeys, and this debut album shows much personality indeed, surely in Australian frontman Angus Andrew's hostile vocals but also in their overall sonic attitude full of pummeling bass, angular guitars and jerky electronics, all with consistent songwriting. From the get go, Liars have demonstrated they will never be where we would expect them. 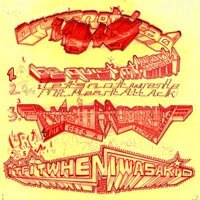 Indeed, if the first eight songs on "They Threw Us All" is pure rock & roll energy and attitude, they cover only 2/5th of the entire album length and they lead up to the last 3/5th of it in the shape of one single half an hour closing track, the puzzlingly and dazzlingly repetitive, sample-ridden hip-hop pulsed and rather heavy "The Dust That Makes the Mud", which lies somewhere between heavy post-rock and Dälek, except Angus delivers a haunting insomnia-driven vocals to start with. A hypnotic and trance inducing experience. 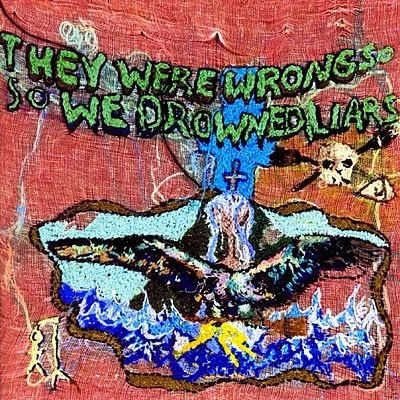 Some line-up changes later, Liars' founder Angus Andrew and Aaron Hemphill dropped the rhythm section and hired Angus' schoolmate Julian Gross on drums, the band reappeared three years later with their sophomore and highly experimental sort of a concept album "They Were Wrong, So We Drowned". Inspired by witch trials/hunting and traditional witch folklore, with the addition of unusual instrumentation and non-traditional song structures, Liars further experiment with This Heat's reminiscing tape-loop experiments (besides, the record was produced by the not-yet-hyped David Sitek of TV on the Radio, who is renown for his sound looping tricks) and relentless industrial sounds thru guitars, electronics and tribal drum patterns, to create one hell of a scary and oppressive at times earsplitting atmospheric musical soundtrack. Angus Andrew's voice begins to show the extend of its capacities, from deadpan incantations to savage punk ululations or shamanic incarnations. No songs really stand out, except the 6-minute opener "Broken Witch" with its mantra-like lines "I, I am the boy, she, she is the girl. He, he is the bear, we, we are the army", it's an album to endure from head to tail. A challenging and mind-boggling yet a little sloppy affair. Liars went even further off to remove any musical cliche towards even more abstraction, and paradoxically more tribal polyrhythms, with their third full length "Drum's Not Dead". The album title shouldn't be read 'drums not dead' but 'Drum's not dead', a little wordplay as multi-layered and overlapping drums and percussion are indeed extremely all over the place on this record. Drum being one fictional character and nemesis of another one called Mt. Heart Attack, both giving their names to several tracks here. Drum is assertive and productive, the idea of creative confidence, while Mt. Heart Attack, like the name suggests, represents stress and self-doubt, both could be the yin and yang of creative process. A conflictual process that Liars' members could have felt while they relocated from New York to Berlin in order to find new inspiration; the ghosts of German's krautrockers Faust and Cluster are somewhat palatable. The move was worthy, "Drum's Not Dead" is without the shadow of a doubt Liars' masterpiece. The band's larger-than-life personality reaches its peak with this album full of expressionist-versus-surrealist pieces which seem sometimes less interested in becoming music than post-industrial tribal bacchanals. The miracle is that them pieces and the album as a whole become music of the highest order in the process, even with a track as anti-musical as the static instrumental "It's All Blooming Now Mt Heart Attack". On the other side, Angus Andrew relies way more on falsetto, which gives the album a more ethereal and less aggressive sound than their previous ones, another musical choice that is bordering on genius, if not plain genius. With this album, Liars is tiptoeing between sanity and insanity. There is a sense of alienation that radiates from that music, and it emerges the would-be listener into some inner animalistic world, which is in turn fighting fiercely against the regular authoritarianism of the contrived and counterintuitive rational mind. A crucial album that helps you to blow any sterile preconceived ideas and concepts to pieces. Liars relocated to Los Angeles to record their self-titled album, which represents a musical and conceptual regression. It is as if the band decided to start anew with another debut album. The previous "Drum's Not Dead" could symbolize the apex of their musical experiments, and Liars could have felt they had nothing more to express on that matter. Besides, their unlimited curiosity could have pushed them towards other unexplored and more inspiration refreshing territories. Nevertheless, their fourth opus stands as a mixbag of hard to reconcile ideas that is the natural tendency of most of any versatile band's debut albums. From the opening rock flexing muscles of "Plastic Casts of Everything" to the primitive beatbox, synth and mournful vocals on the skeletal yet tender closer "Protection", the musical scope is particularly wide. It ranges from the psych/industrial, with the use of the Moodswinger, of "Leather Prowler" to the noisy mid-80s Sonic Youth thing with a pop flavor of "Freak Out", from the hip hop electronic and efficient dance ditty "Houseclouds" to the atmospheric Eno-esque "Sailing to Byzantium". This self-titled record goes further with the Gothic no wave deadpan funeral "What Would They Know", the messed up post-punk mellowcake "Cycle Time" or the punkish Syd Barrett-ian "Pure Unevil", which lies somewhere between Crystal Stilts and Chad VanGaalen, or something like a Rollerskate Skinny leftover. Finally, "Clear Island" is a more colorful sister to "Cycle Time" and Sonic Youth-ian guitars reappear on the monotone "Dumb in the Rain" with more deadpan chants. Despite its mixbag nature, the album however remains a diversified yet miraculously consistent whole. 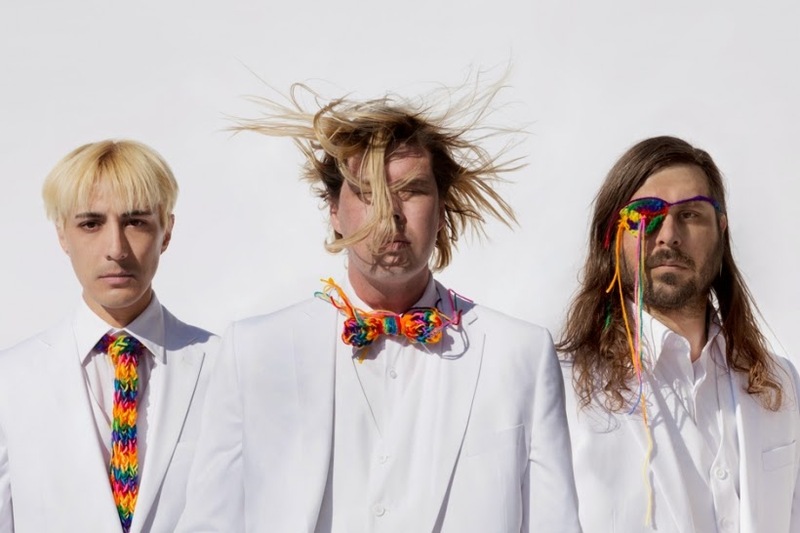 If it delivers a less deeply challenging, confronting and rewarding listen than its predecessor, Liars' quirky version of a pop/rock record remains head-bobbing, foot-tapping hence entertaining most of the time. A bit like "Drum's Not Dead" was a more focused and deeper exploration of the musical aesthetics proposed with Liars' previous effort "They Were Wrong, So We Drowned", their fifth album "Sisterworld" expands on the diversification of musical genres (industrial, punk, prog, noise, etc.) and instrumentation of their previous self-titled work, while getting even deeper and more focused. "Sisterworld" could almost be considered Liars' "best of", but completely made of new songs, a "best of" that covers the band's past and future production. It is also a return to themed songs as the album targets the city of Los Angeles and the alternate worlds its citizens create in order to survive. The instrumentation on some songs is enriched by bassoon and strings, most notably on the intriguing but unimpressive opener "Scissor" as well as on "Here Comes All the People", with a beautiful almost neoclassical piano line, the latter recalls the band's Berlin era. The almost anthemic "Goodnight Everything" even contains brass besides the aforementioned new instruments. "Sisterworld" leaves a contradictory feeling, on one hand it relies a little too much on old sonic tricks and musical ideas, for the first time Liars seem to repeat themselves a little bit, on the other hand most of the tracks here evolve in very unpredictable ways. Besides the band hasn't sounded as paranoid and angry since their first two records. Indeed, some of the best tracks here, the pretty distorted ranting hurricane of "Scarecrows on a Killer Slant", the oddly exuberant post-punk "The Overachievers", the claustrophobic "Drip" and the slow burner yet threatening "I Still Can See an Outside World" reassert Liars as the masters of uneasy listening. On the other side, Liars look forward into their own future with the insidious hip pop of "No Barrier Fun" and the incredibly groovy "Proud Evolution", the latter being sonically not far off Eno's work on U2's "Zooropa" in 1993. 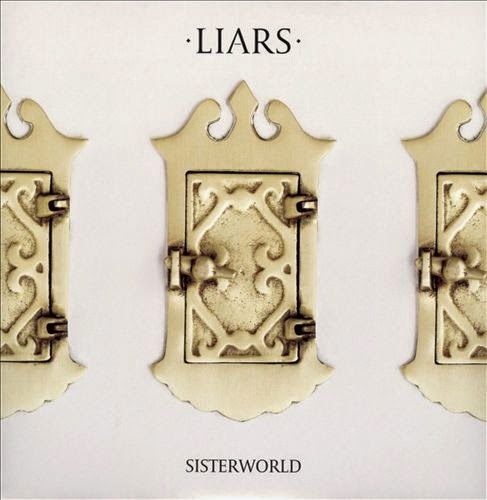 "Sisterworld" remains at the same time one of Liars' best albums and one of their least adventurous. 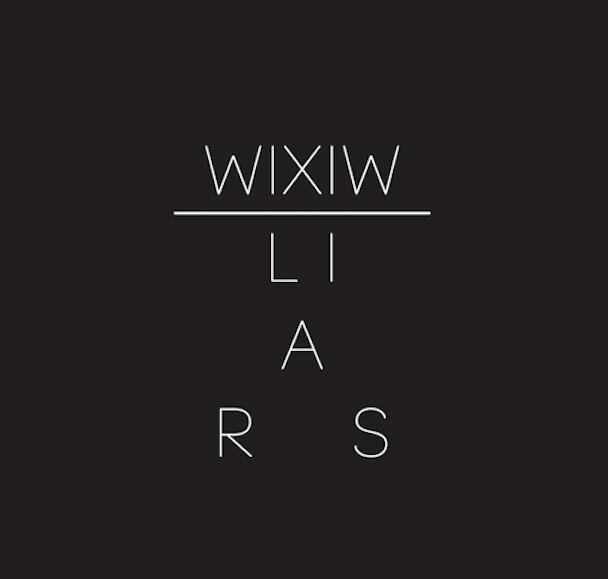 The electronic undercurrents that permeates exponentially each Liars' outputs since their very first album have been brought to the fore on "WIXIW" (pronounced "wish you"). Nearly gone are guitars and drums, analog synths, electronica and digital drums took over, and in doing so Liars delivered their own take on that however debatable revival of 80s synth-pop. Still, the overall sound is intrinsically Liars', even on the extremely cold wavy single "No. 1 Against the Rush", which surprisingly and strongly recalls 80s Dutch Clan of Xymox, for those who remember them. But the most striking aspect of "WIXIW" lies in its delicacy and even prettiness for the best part, even using acoustic guitar and nature found sounds on "Ill Valley Prodigies" and flutes on "Who Is the Hunter", besides most tracks here are rather slow. The album could therefore be Liars' own ambient album too, if it wasn't for the pretty disturbing and disorienting 6-minute title track, with its circular synth pattern and below the surface tribal tom-tom rhythm until all of a sudden the drums turn frontal and it's all scary voodoo dance for the digital age. The other song which breaks the quite ambient mood is the techno thumping industrial dance-floor gem "Brats". Another highlight is "His And Mine Sensations", an ambient techno thing with a clear sounding guitar line, a song reminiscing Radiohead's "In Rainbow", without the pathos. Liars don't rely much on emotions, despite the album's very human themes of longing and doubt. Another reintroduction to the band, another artistic direction, gone are the anger, the paranoia, the abrasiveness, the confrontation. Nevertheless, Liars succeed to remain Liars while delivering another great album. Once again, Liars defy near all expectations with their seventh album to date. The band traded drums, percussion and guitars for computers and sequencers in order to deliver what could almost be considered their own version of electronic dance music. However Liars' move towards more electronic and beat oriented instrumentation was more and more noticeable throughout their discography, and it looks like each of their previous albums contained one or more songs which showed the way the band would evolve further. The very danceable "Brats" played that role on Liars' former and excellent "WIXIW". Indeed, most of the songs on "Mess" sound like an exploration of the musical foundation offered by "Brats", and as brilliant that one is, and how intelligently Liars managed to keep their unique sound while expending impressively on the limited possibilities offered by so-called EDM on their last effort, the first impression here was that of disappointment. There was the reoccurring thought that one doesn't need guys as inventive as them to add one layer more to the already extremely redundant if not mundane art of electronic dance music, that with some strong 80s influences on top (with a wink at one of Electronic Body Music's main frontguys : Belgian Front 242 on the opener "Mask Maker", imho). Bands as efficient yet as forgettable as Metronomy or Floor Factory, to name only two, are already too many. Besides, the title of the album is quite misleading as it could have made many to expect this album to be all over the place, noisy, chaotic, paranoid, even pretty improvised while, on the contrary, this is maybe Liars more focused and homogeneous record since, well, "Drum's Not Dead". Hence Liars are liars, because not only Drum is dead in the meantime, but furthermore there is no mess at all on "Mess". The title actually referred to the band just messing around in the studio without much other rules than having fun. Still, Liars would not be Liars if there wasn't more than this to chew on and some further listening delivered the nonetheless expected goods. Liars' inventiveness and experimental libido are less about the structure of the song than their texture, and here they did another fantastic achievement. Each track of "Mess" contains its share of carefully crafted electronic sounds and beats, which are built layers upon layers in a similar way for each of them, but the feeling of variety, and surprise, comes from the very wide range of sonic colors, and the album cover is an apt illustration of this; despite its coldish and plastic aspect, the image is ultimately colorful and fun to look at. The music proposed on "Mess" is no different. Besides, several listens barely decreased the feeling of wonder each time a new element appears, even when the band is playing with cliches like on the very cheeky techno intro archetype of "Pro Anti Anti" to get further into crushing industrial beats and abrasive bricks of distorted synths. A far from refined example for an album that contains an incredible amount of refinement all along. 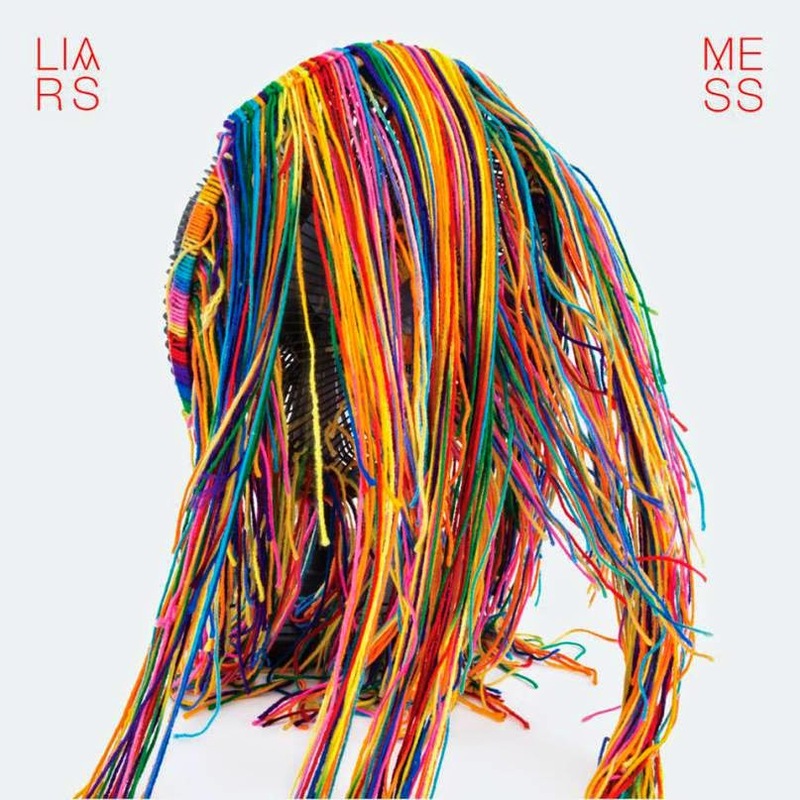 "Mess" is no masterpiece, nor is it groundbreaking in any ways, but it is Liars' most entertaining and fun album (since their debut in 2001) - their own fun doing is pretty fun listening indeed - while remaining a real treat for a more attentive listen. And this is some rare feat.